So many vegetables! I could just eat them raw. I’ve been super lucky throughout my pregnancy. I’ve been very healthy through most of it. I’ve only had cravings for healthy food, mostly broccoli. I’ve been working on stocking up some pre made food for after I have my baby. I wanted to make something that would be great from before baby and recovery after baby. This soup is made with marrow bone broth and ox tail, along with a whole host of amazing vegetables. 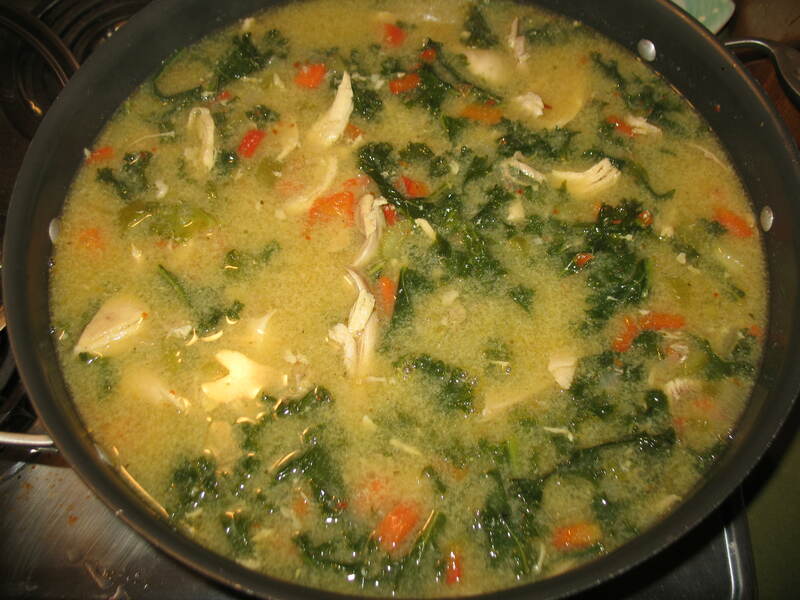 The extra iron and vitamins in the soup will really be beneficial for any woman but especially the post labor woman in your life. After I made it I realized that I just and to have tomatoes! So I went back and added a few can of diced tomatoes, and some tomato paste. It really kicked up the heartiness of the soup. However, I don’t have any pictures of beefy soup 2.0 so just imagine how great it looks! 1.5 heads of kale ripped up. Frist brown your meat in a very large stock pot. Everything will be going into this pot eventually so make sure it’s big. I like to brown the meat because it adds a lovely depth to the flavor. 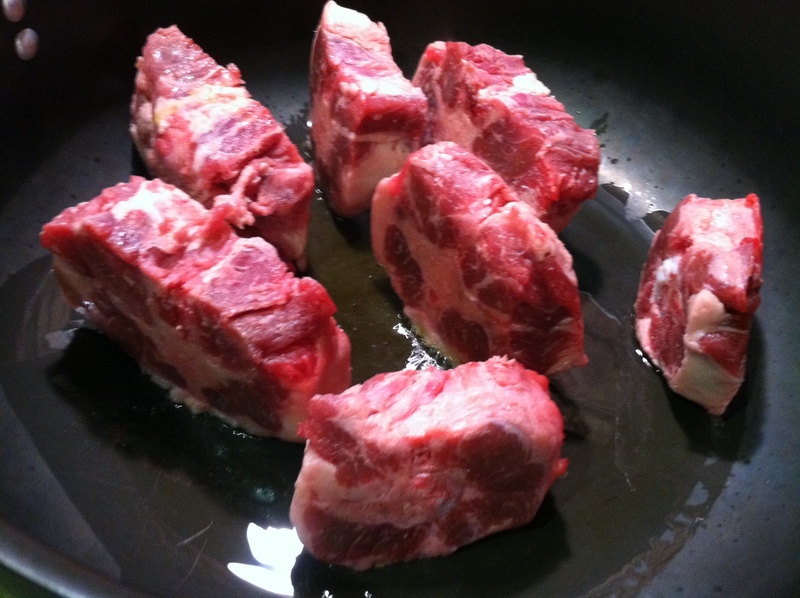 These ox tails had a thick side of fat, so I started with that side first to render some fat to cook them in. See? I’m smart. Brown all sides, and set aside. This is where the magic starts. The bottom of the pan will have all sorts of meat and fat stuck to it. 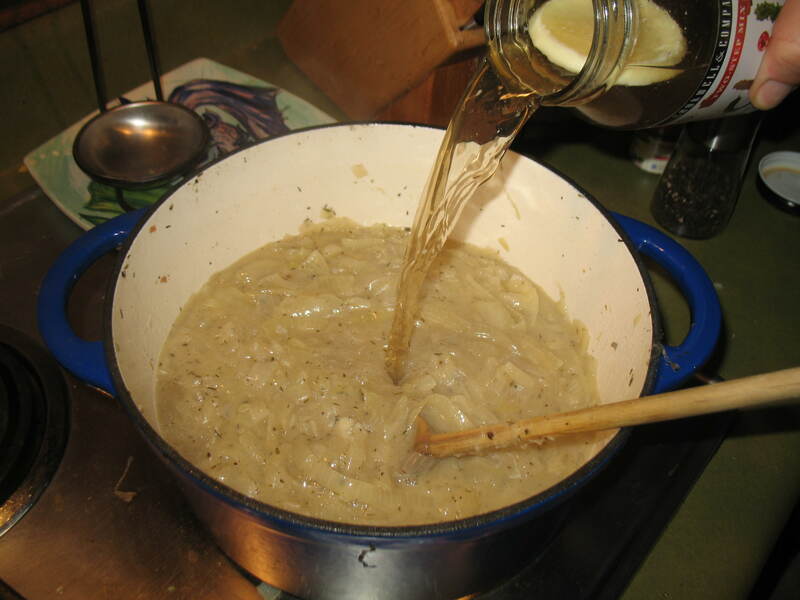 By cooking the onions, the moisture will help loosen up that deliciousness, giving that depth I was talking about. Cook onions until they are starting to become translucent. Note they are not actually browning, that’s the good stuff stuck in the pan adhering now to the onions. Lucky onions. 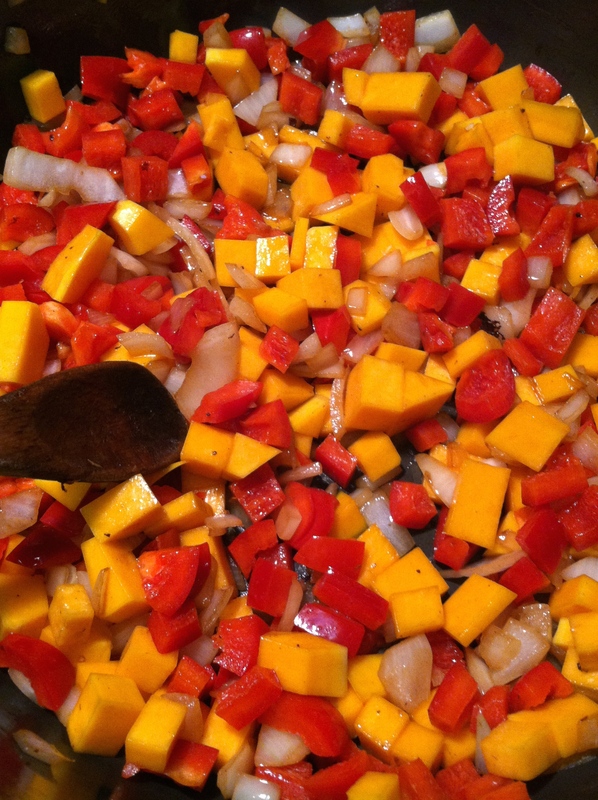 When your onions are soft, add the squash and the red peppers. 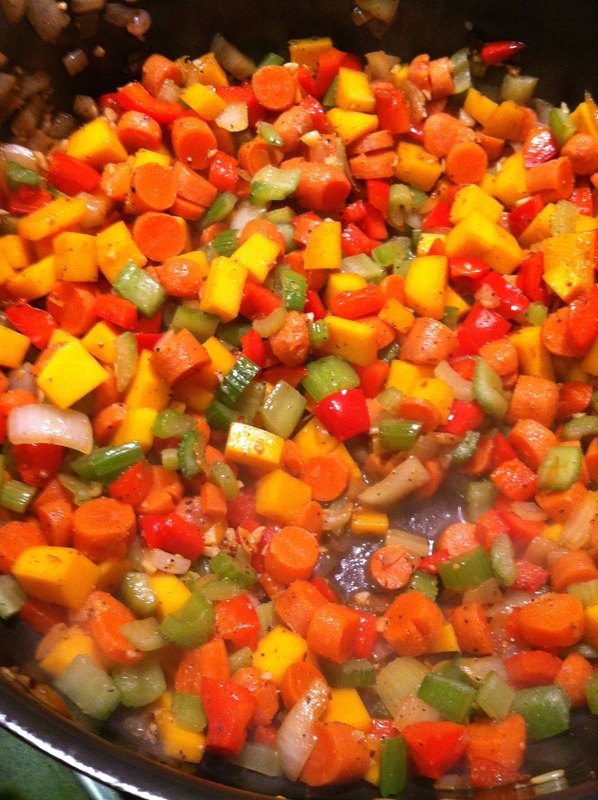 Keep temperature at medium high and occasionally stir vegetables. Cook for about 4 minutes. Add in carrots and celery. Continue cooking for another 5 minutes. Add seasonings, meat, and broth. Look at all that dark rich goodness! 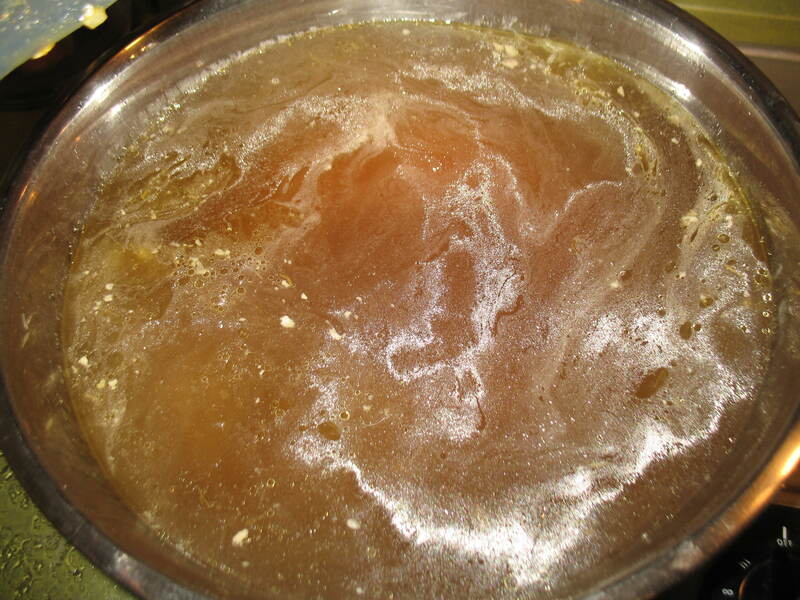 Bring soup to a slow boil for about 15 minutes. Add in kale for last two minutes. You can also skip the boiling and cook on low for about an hour. When all the vegetables are soft and your meat is cooked through your soup is done. Now I said above that I decided this soup would be even better with tomatoes. I wish I thought of that first! 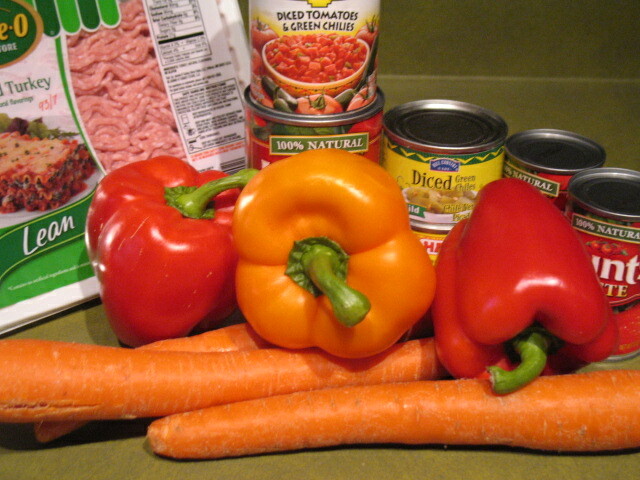 Add about 2-3 cans of diced tomatoes and two cans of tomato paste when you add in your broth. It gives it a great rich color and really ups the flavor. But this soup was delicious just as it was, but even better with the tomatoes. I left the meat on the bones. It’s a preference thing. 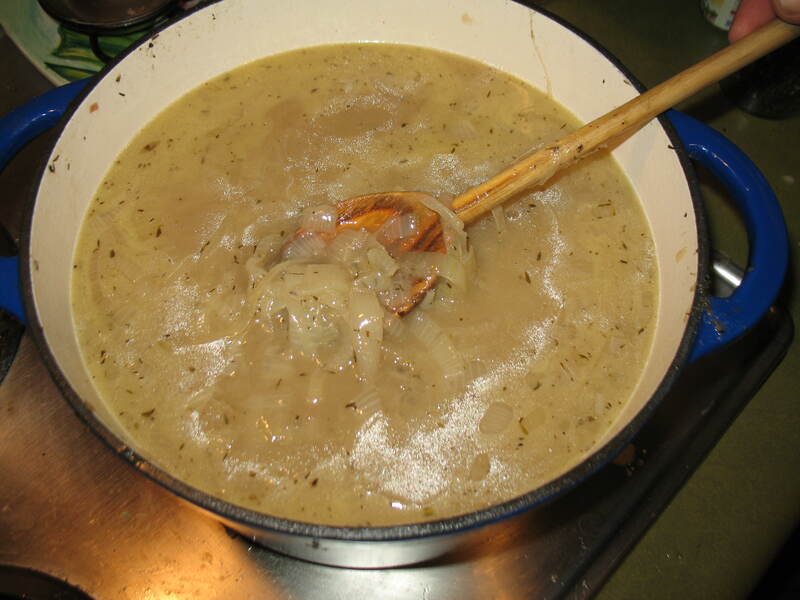 If you’d rather not have bones in your soup you can remove the meat after you boil it. This makes a ton of soup. I planned on that because I wanted to freeze a bunch for post baby meals. This is a great fall/winter soup that’s super hearty and would make a great gift for a friend in need of a bit of an immune boost. We went to a dinner party last night that asks everyone to bring an item to eat. 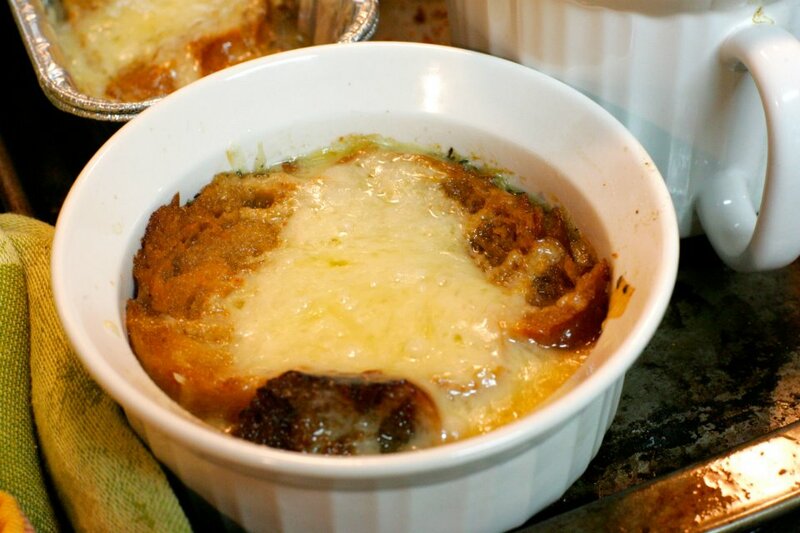 We brought french onion soup for which the base was the stock I made earlier in the week. It came out very tasty. This recipe uses bread and cheese in the classic way, however, you can definitely leave those off if you want to keep it paleo. I’ve made this soup so many times that I don’t use a recipe any more, so below are approximations of how I made it last night. Chop all of your onions. 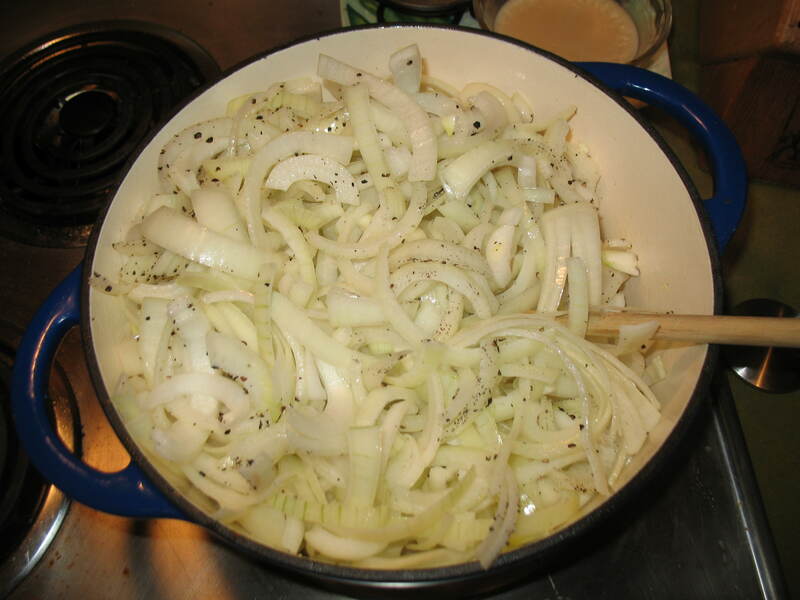 You might as well think of something very sad because this many onions will have you crying. I’ve found refrigerating the onions before hand helps with the tears but nothing gets rid of it completely. 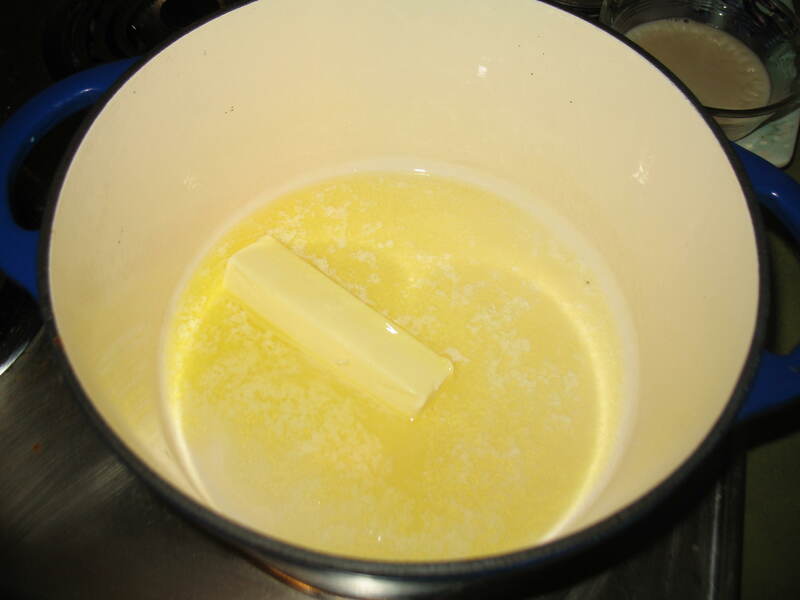 Melt your butter in a deep pot. You can of course use olive oil or coconut oil, but butter is amazing and shouldn’t be scorned here. 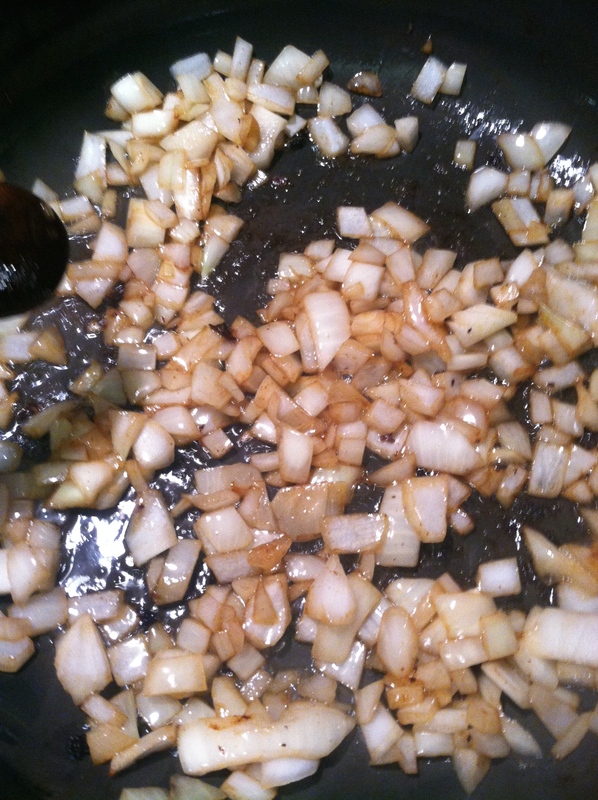 Add all of your onions, and spices to the melted butter. Cook the onions on medium low heat covered while stirring every few minutes. This process takes a while and shouldn’t be rushed. You want to sweat the onions down for awhile. 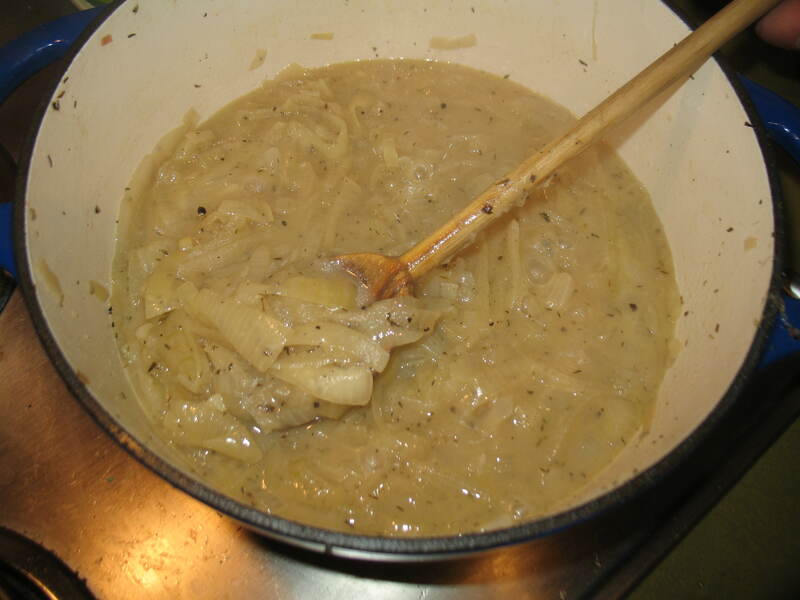 The onions take on a butter like consistency and taste when you are finished. Of course the stick of butter couldn’t hurt. This will take about an hour. 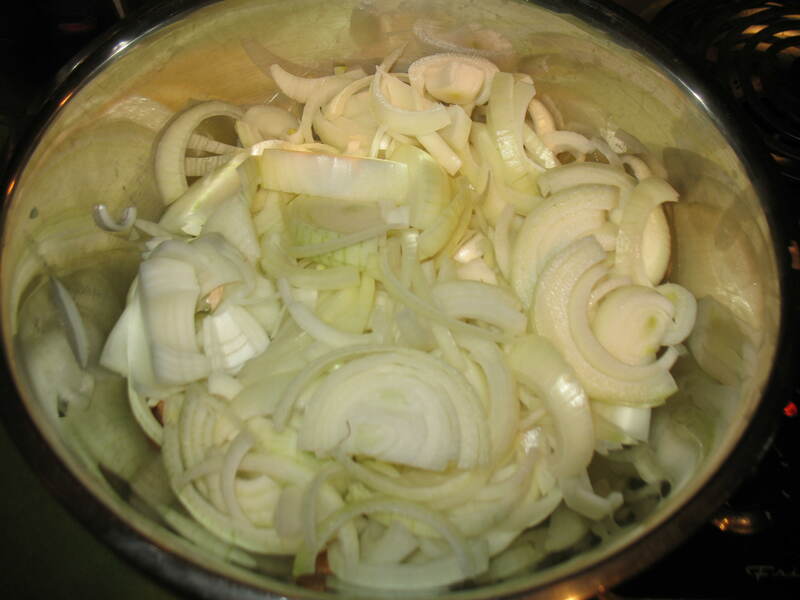 You’ll know they are done when your onions are soft and reduced my more than half and there is liquid in the pot. This is what they should look like when done. Like delicious butter onions! Add your beef stock. I just added liquid until it was to the top. Continue to cook on medium for another 20 minutes. Pull out the ramekins, place a piece of toast in the middle. Ladle your soup on top then sprinkle the cheese. Put them in the oven until the cheese is melted. Enjoy! The dinner party was an enormous success! There was so much good food that I wish I could live there! There is something so satisfying about chicken soup. 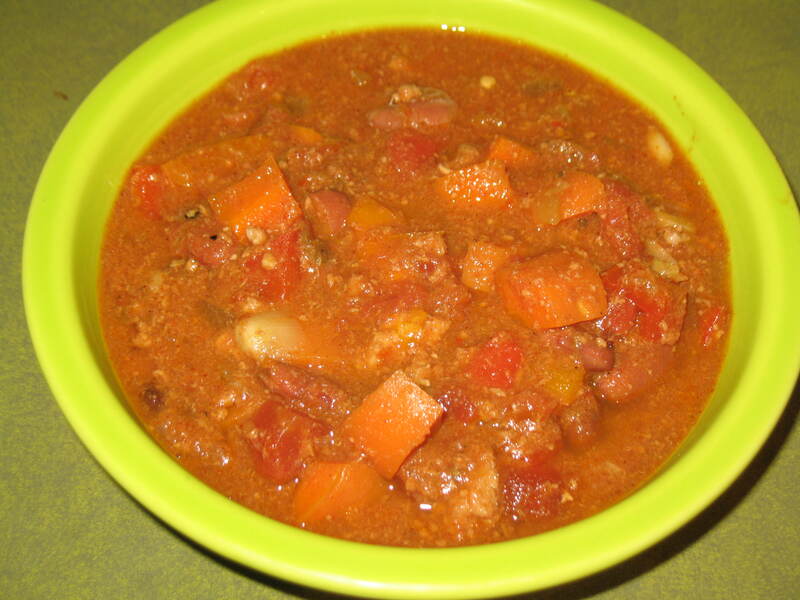 Warm, hearty, chockfull of vegetables, it just screams comfort and health. 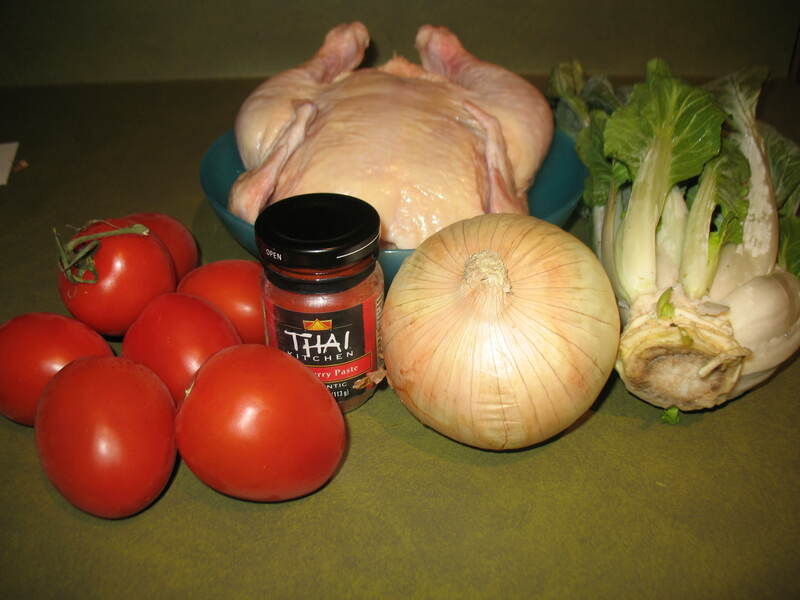 For the base of this soup I roasted a chicken on our new rotisserie toaster oven. 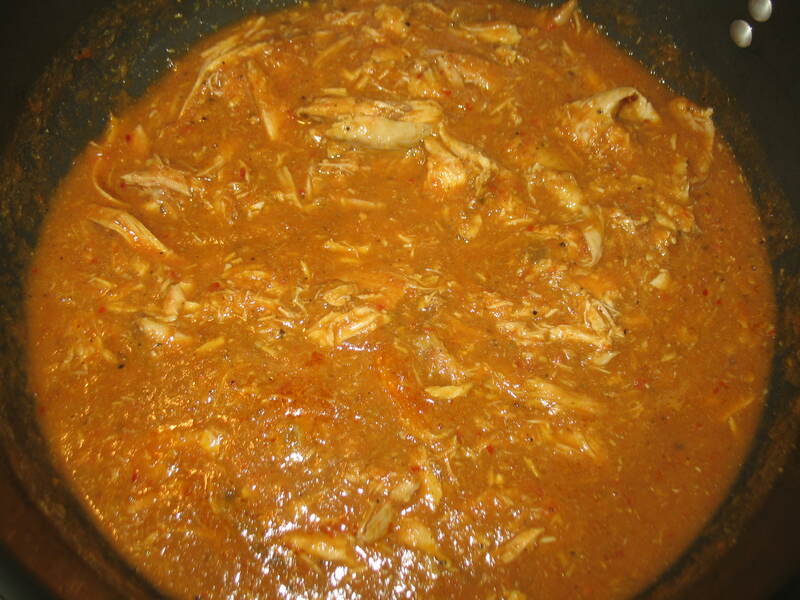 I stripped the chicken and skin from the bones and simmered the bones in water to create a rich flavorful stock. This step will take your soup from good to amazing. 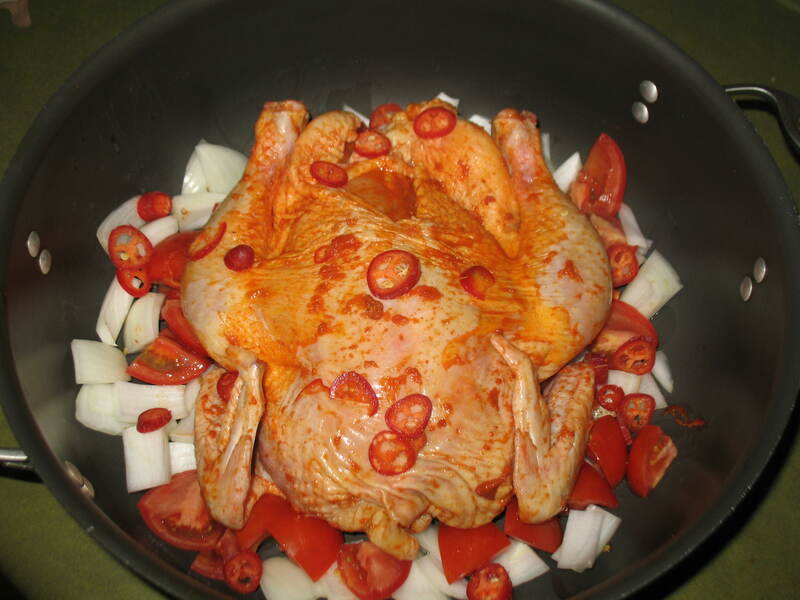 Roast one whole chicken until cooked. (I stuffed the skin with salt, pepper, garlic, and onion powder). 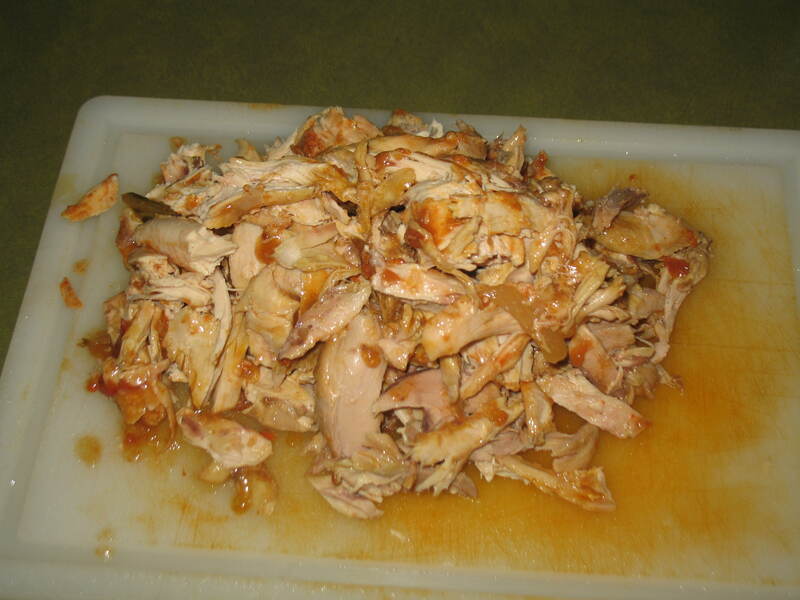 Remove all the skin and meat from the bird. The skin was perfectly crunchy and delicious so I just ate it. But you can use it in your stock if you aren’t as addicted to crispy skin and I am. 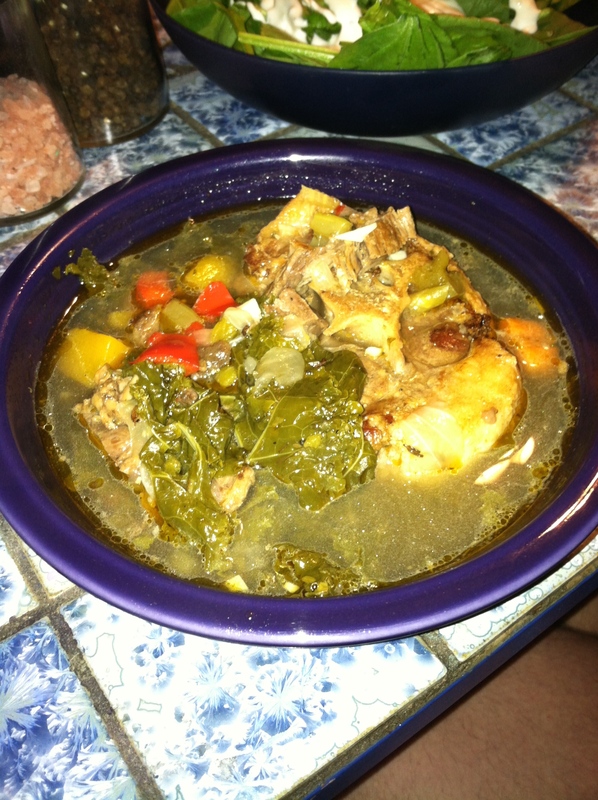 Place bones, fat, and skin in a large pot cover with water, I had about I gallon of water. Add 3 bay leaves and a pinch of saffron. Cook covered on low for at least 12 hours. Cool and strain. If you pour it in plastic containers then you can freeze it forever, or use it within 2 weeks in the fridge. Sautee onions and carrots in olive oil on medium high heat for 5 minutes. 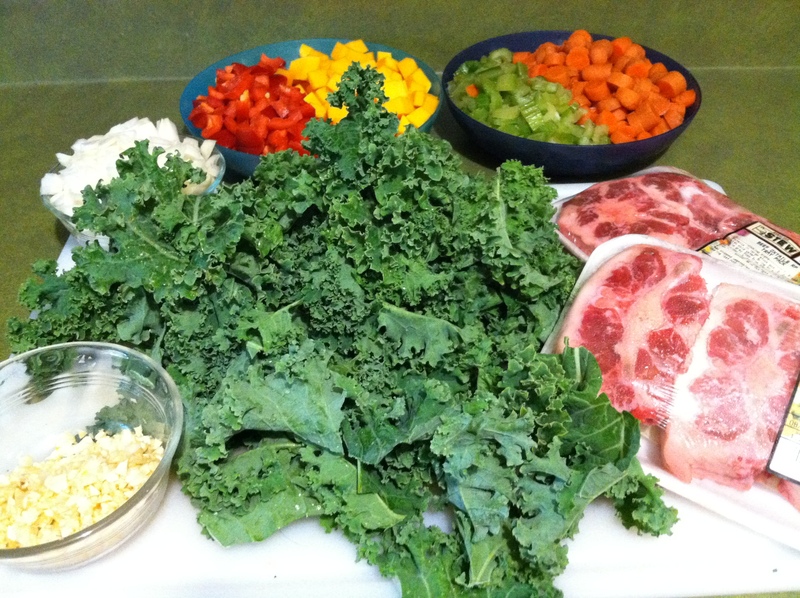 Add remaining vegetables except kale and sauté for 3 minutes. Add seasoning and chicken. Stir and cook for 3 minutes. Add stock and turn down heat to low. Cover and cook for 1.5 hours. Add kale. 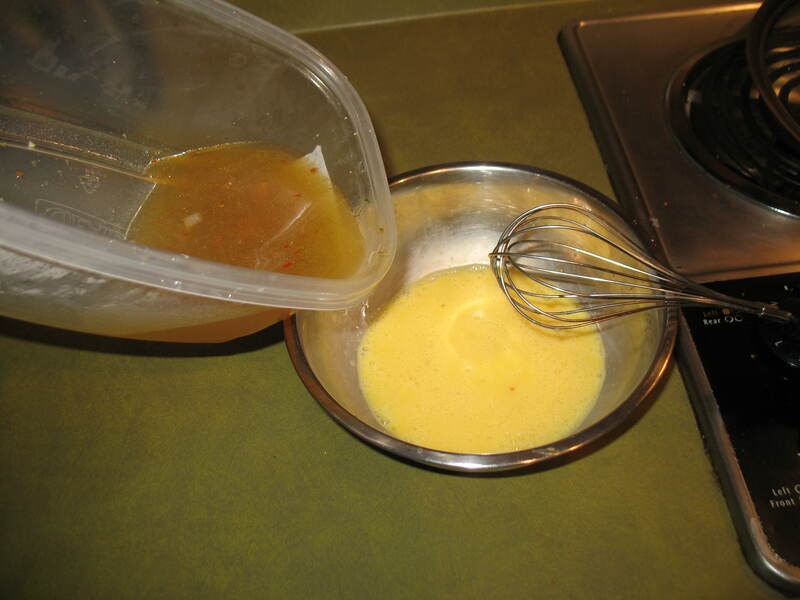 Whip your eggs in a separate bowl and slowly pour hot stock over the eggs while beating them. This is called tempering eggs. 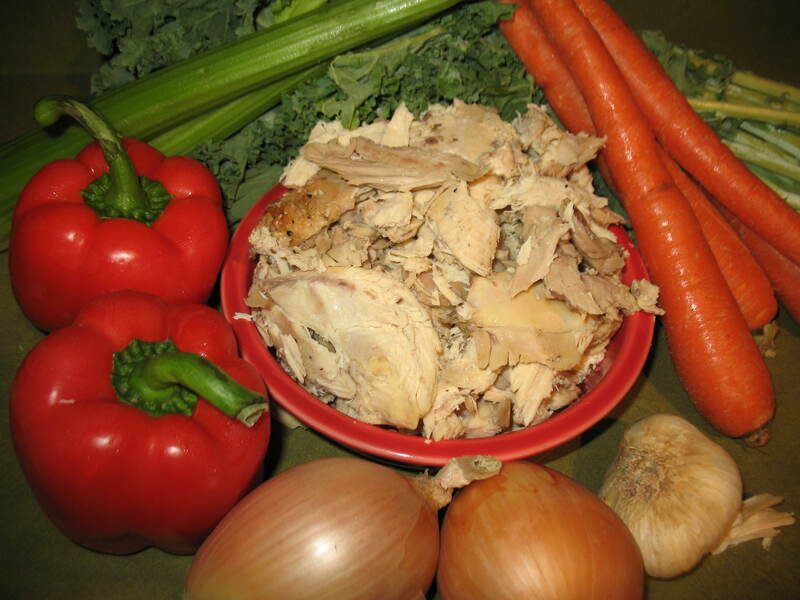 It adds heft to your stock in a totally paleo way! If you just pour the eggs in your soup without tempering you will get scrambled eggs instead. While tasty, this is not something you want in your soup. Cook the soup on low for another half hour and then serve. This makes an enormous batch of soup. You can freeze a bunch of it or serve it for a dinner party. It’s got enough heat from the red pepper and plenty of hearty goodness from the homemade stock to cure whatever ails you. 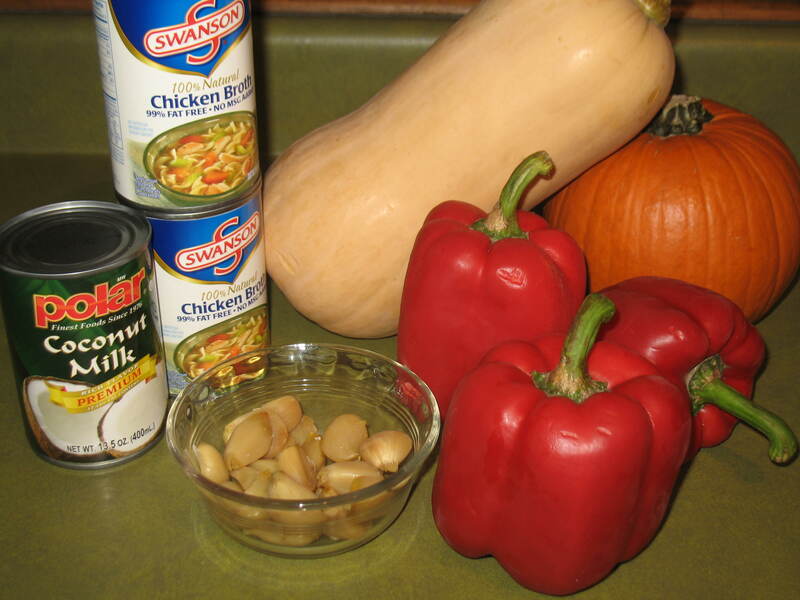 I made this soup after the civilized caveman made a comment about his addiction to squash. 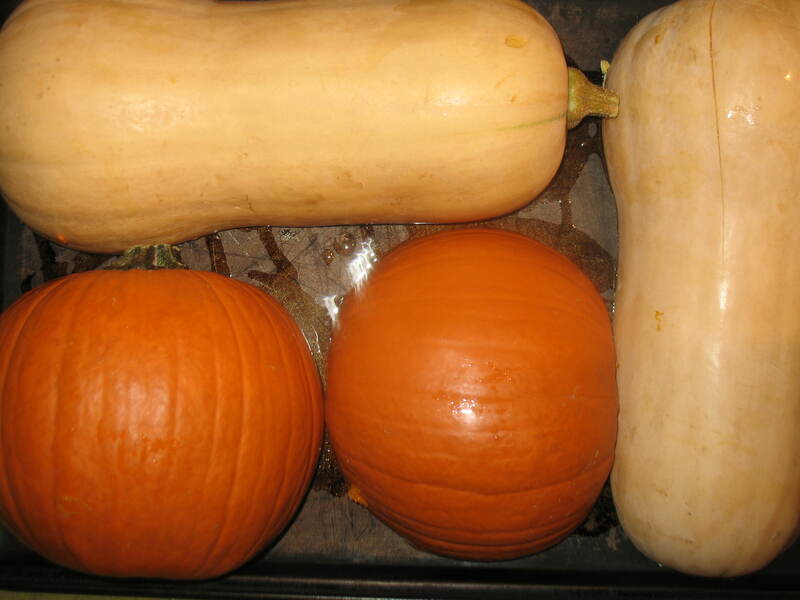 I couldn’t help but sate my own gourd addiction. The color of this soup is so pretty that I almost don’t want to eat it. However, it is too tasty not to. Unlike my recent string of un-paleo foods, this soup is very paleo. 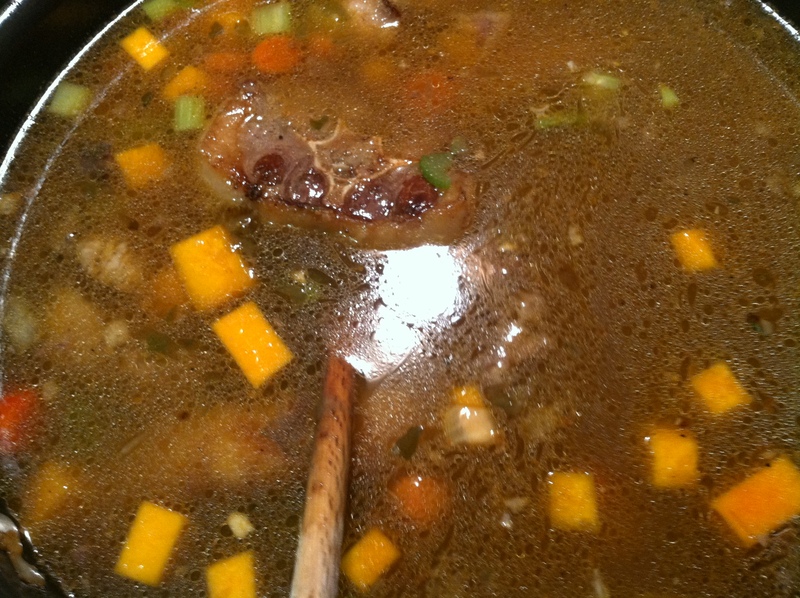 If you too are addicted to squash you will want to make this soup. Cut and remove the seeds and pulp from all of your fruits (if it has internal seeds it’s technically a fruit). 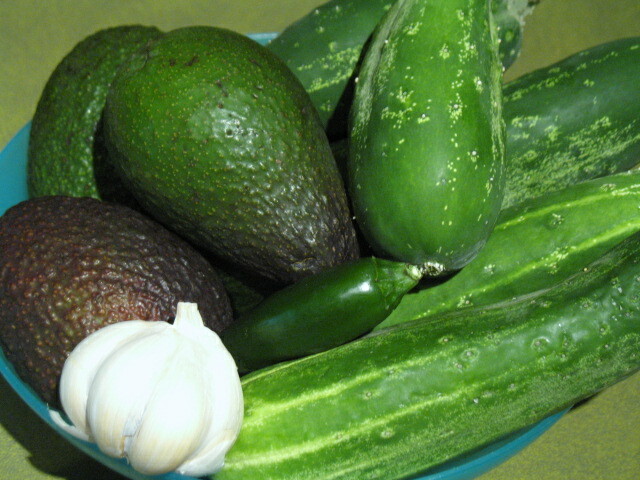 Place them on a cookie sheet cut side down with a little olive oil. Roast them until soft. 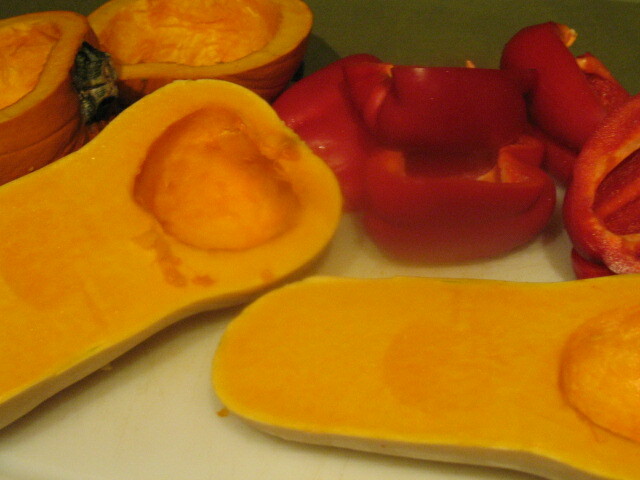 The squash and pumpkin take about 45 minutes at 400 and the red peppers took about 20 minutes. 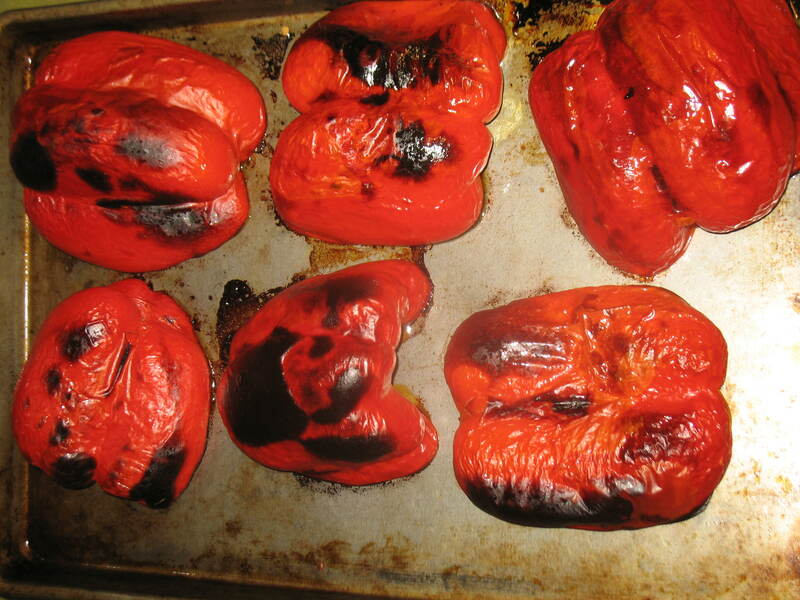 For the last few minutes of the peppers I turned on the broiler and blackened them a bit. I made the garlic the day before but to roast garlic you just wrap up the entire head with tinfoil and roast in the oven. 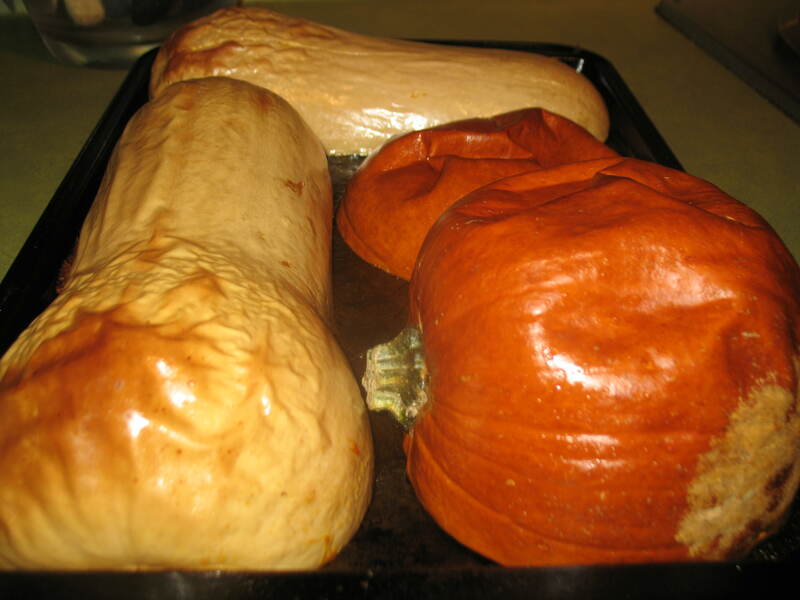 Just place it in with your pumpkin and squash. When all your fruit is roasted take it out and let it cool down a bit. When it is cool enough to handle scoop the flesh out and into a large stock pot. Discard the skin. Peel and add the garlic. Add the remaining ingredients except for the coconut milk. Cook on medium for about 20 minutes. 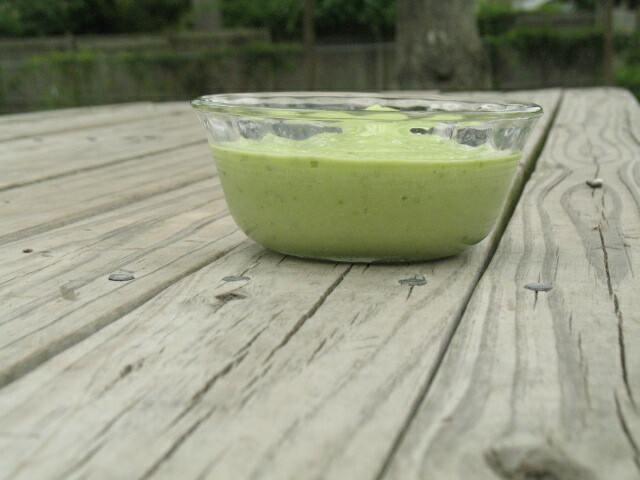 Remove from the heat and blend in a blender. I learned a neat trick the other day for blending hot liquids. 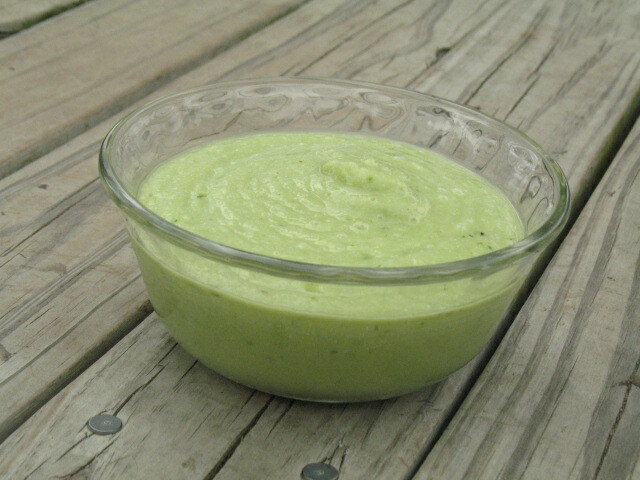 Remove the little center piece on the lid and drape the blender with a kitchen towel. This keeps the soup from popping the lid off and making a huge mess. I had to blend this in stages because I made so much of it. 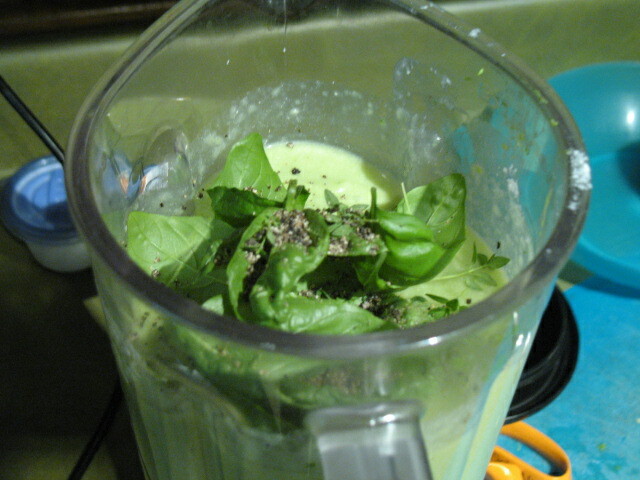 Once it is all blended pour it back into the pot and add your coconut milk. Cook again on medium for another 20 minutes. After that ladle it out and enjoy. 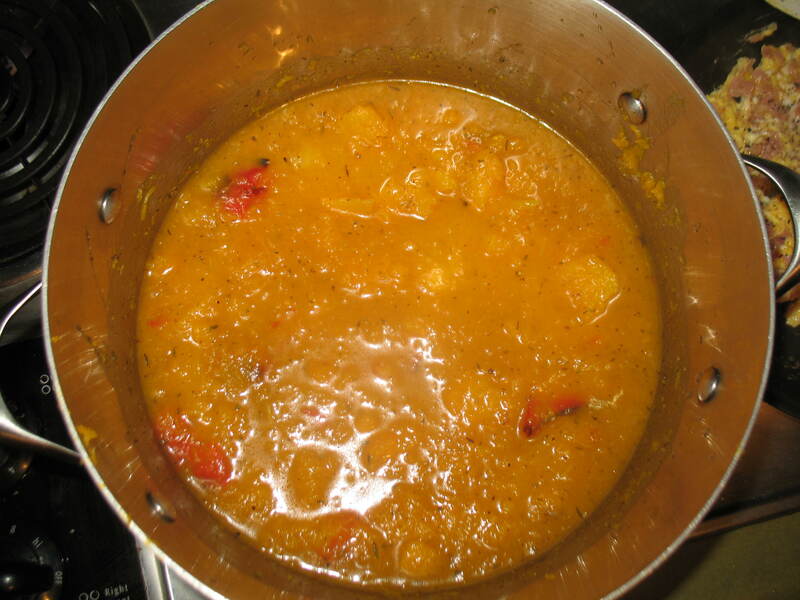 This soup has all the great taste of fall with the sweet creaminess of the coconut milk. I think this is my new favorite meal. 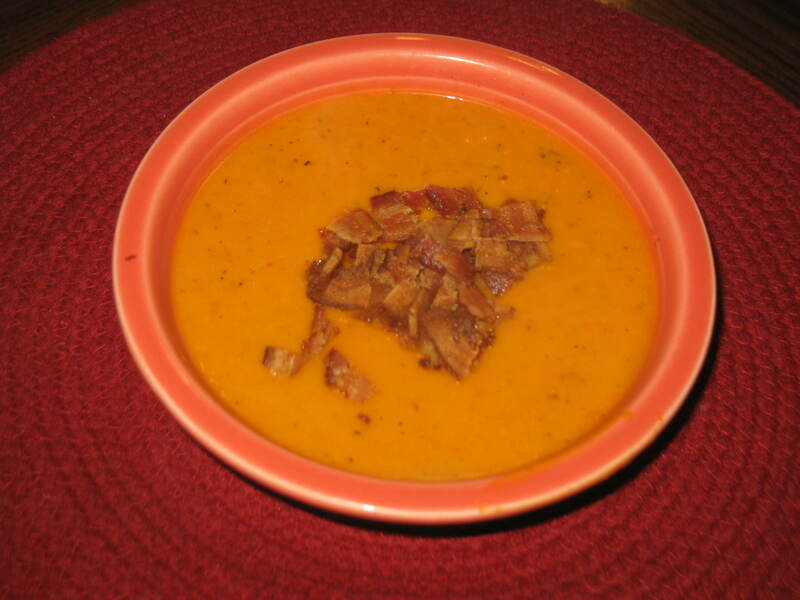 You can enjoy this beautiful soup as a Halloween treat today with a little crumble of bacon! Happy Halloween! I wanted to make something big that would last all week and be a tasty hearty meal. 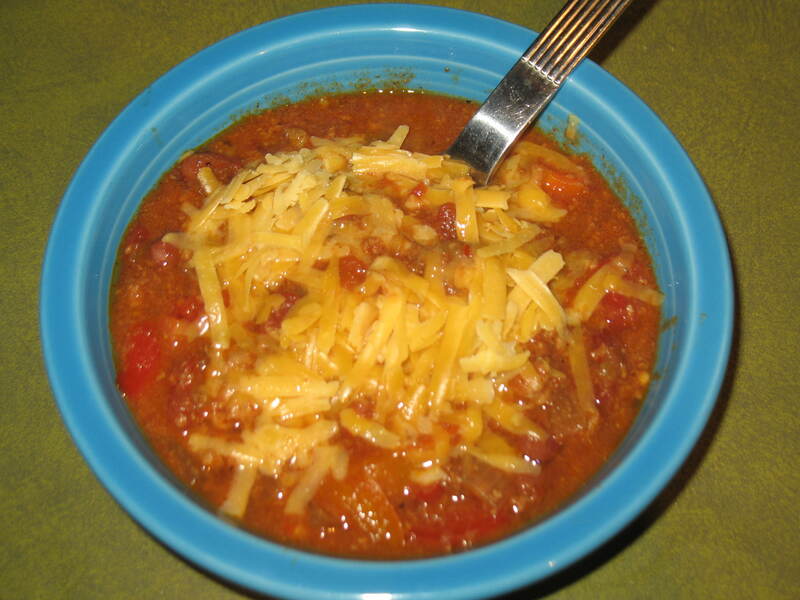 Since the weather is cooling down (or trying to), I thought chili would be a great thing to make. I used a lot of vegetables and some beans to bulk this meal up. 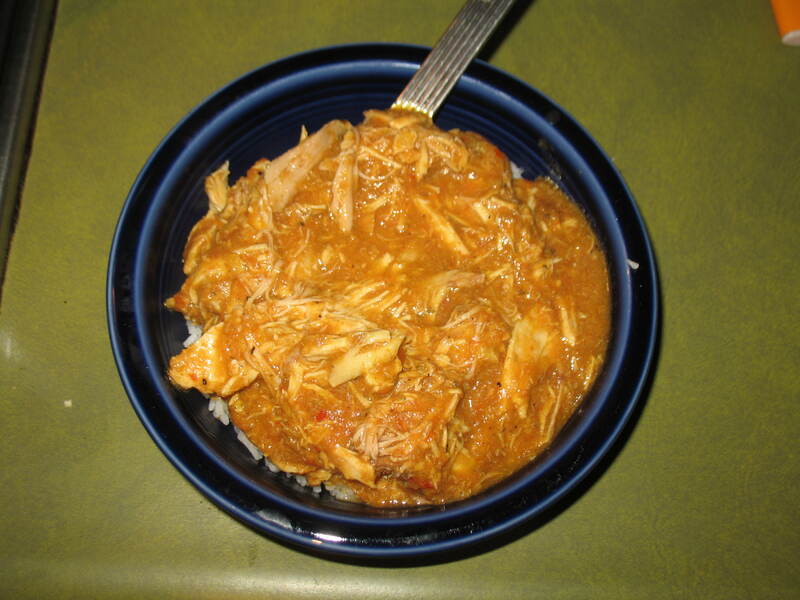 You could definitely make this with more meat and no beans if that is what you are eating. Sorry the spices are measured so strangely. I originally didn’t add enough so I had to go back and add more. Brown the meat on medium high in a deep pot. 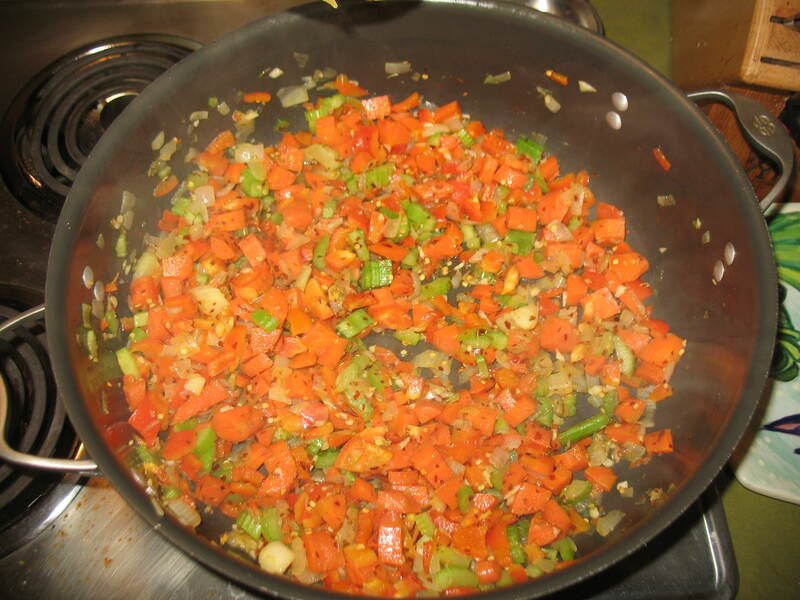 Remove the meat and add veggies to pot stir frequently for 3 minutes. Add chicken stock and deglaze the bottom of the pan. 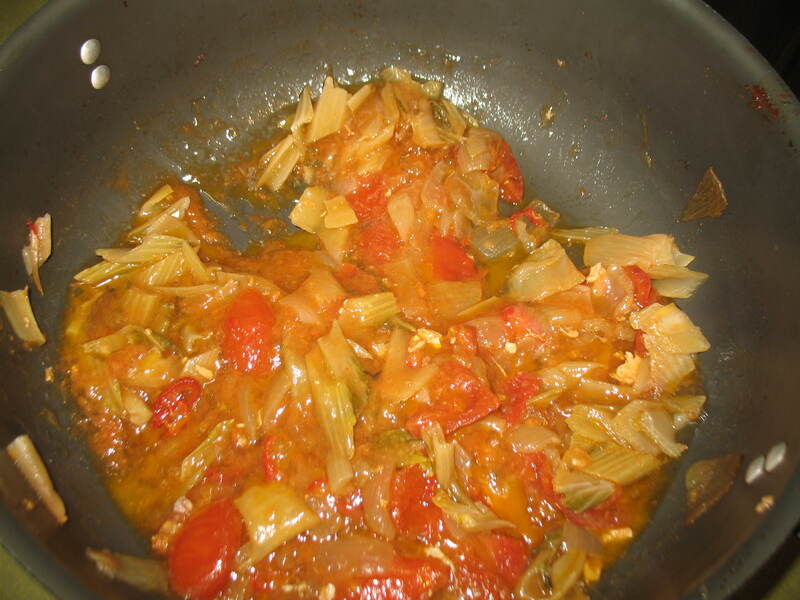 Turn the pot on low and return all ingredients to the pot and add remaining ingredients. Cook all day while you work. Come home and eat a delicious hearty meal. Because of the beans, this meal is not paleo. We can eat beans without any adverse affects and so we do. This is a personal dietary choice for you to make on your own. I like the chili with the beans. I’ve never tried putting carrots in before but they were a welcome addition that taste great in this. Here is a picture of the more paleo version. And then this one with cheese! Yeah I know breaking all the rules. But look, it looks so tasty this way.